It was another majestic sunset in New England. I saw this small harbor while driving along a coastal route and thought it would be a fantastic spot if the lighting worked out. 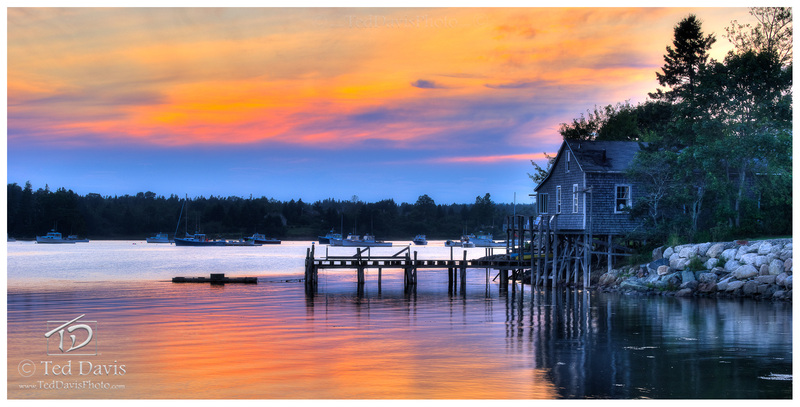 Luckily it did, and this image truly inspires me as it could be of anywhere - lake, river, pond, inlet, or ocean.The serenity I feel when viewing Harbor Pier is unmatched. Photo © copyright by Ted Davis.